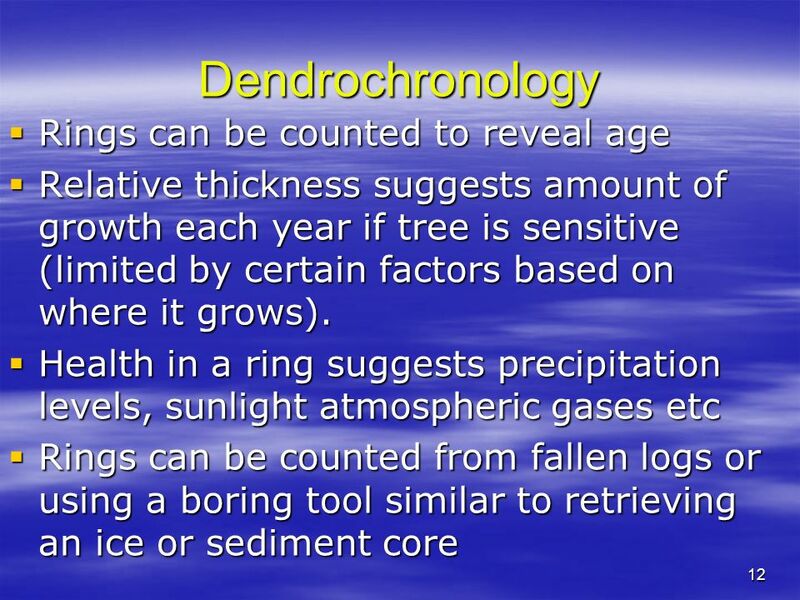 Paleoclimatology – the study of ancient climates No one record gives full picture. 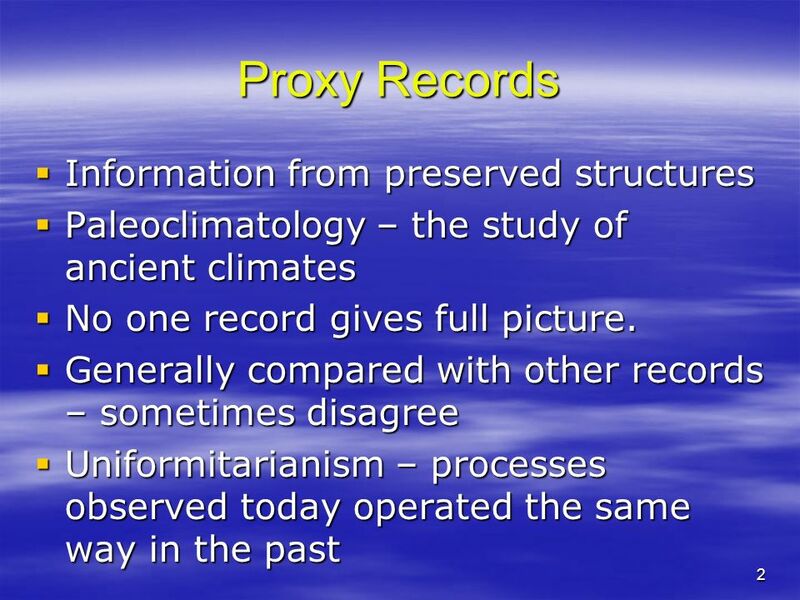 Generally compared with other records – sometimes disagree Uniformitarianism – processes observed today operated the same way in the past Proxy records are those pieces of information extracted from preserved structures around the earth. 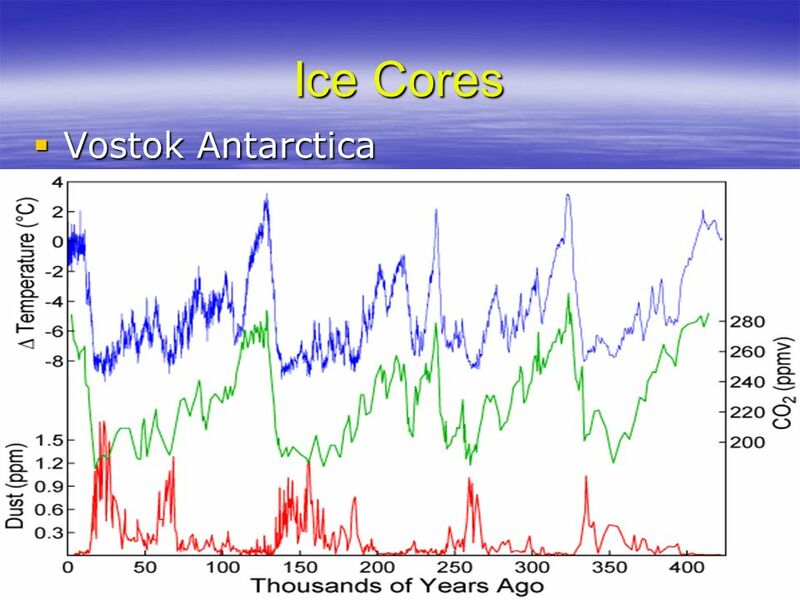 These are studied by “paleo-climatologists”(paleo – ancient) who attempt to recreate past climates based on information from various sources. No one proxy record can create a definitive picture of the climate. 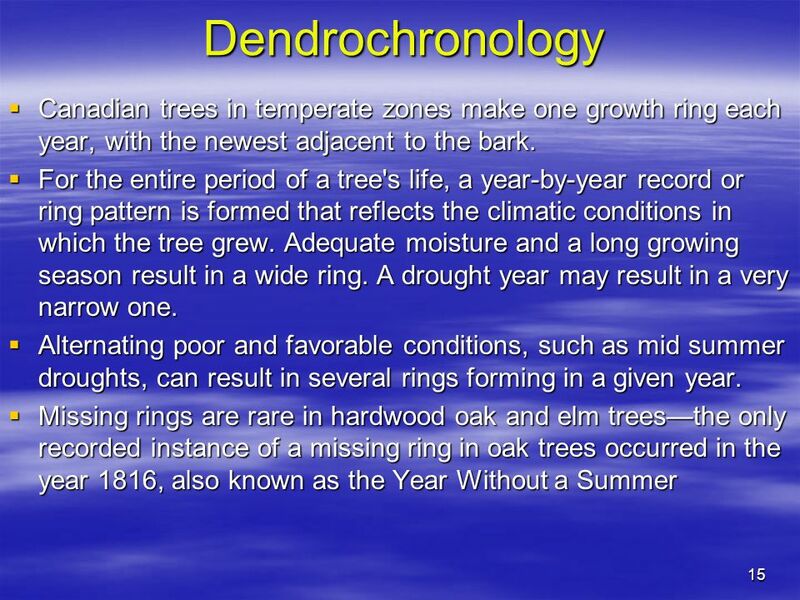 The growth of a tree depends on both precipitation and temperature for example, but if the amount of precipitation can be determined from another record, then the temperature can be more accurately estimated based on the growth of the tree. 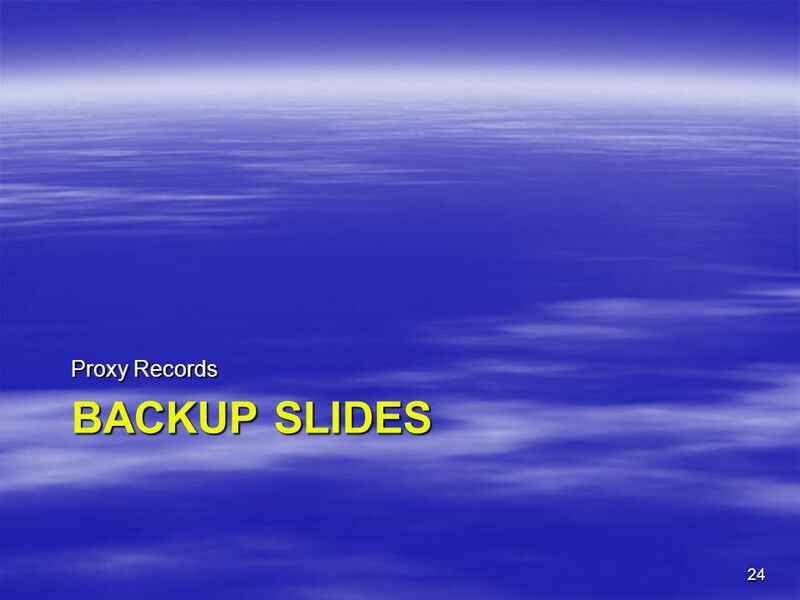 Most proxy records rely on the geologic principle of “uniformitarianism” which is the belief that organisms and processes at work today operated in a similar fashion in the past. If we understand how something happens now, then evidence of similar occurrences in the past would suggest similar conditions to what we have now. 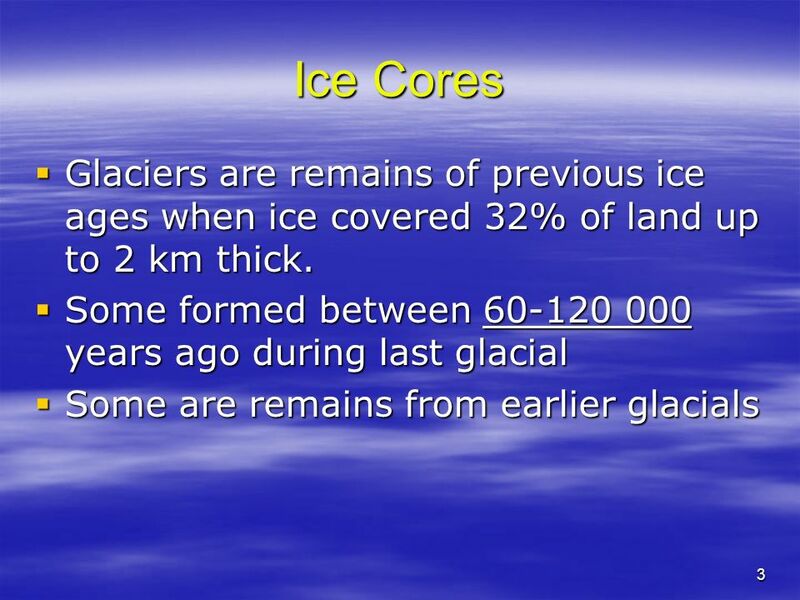 3 Ice Cores Glaciers are remains of previous ice ages when ice covered 32% of land up to 2 km thick. Some formed between years ago during last glacial Some are remains from earlier glacials Glaciers are the remains of the last ice age, when glaciers covered 32% of the land and 30% of the oceans. Glaciers are the result of many years of snowfall, each year's snow piling on top of the previous year’s snow. The heavy snow on top exerts pressure on the snow beneath turning it into firn and eventually into ice. 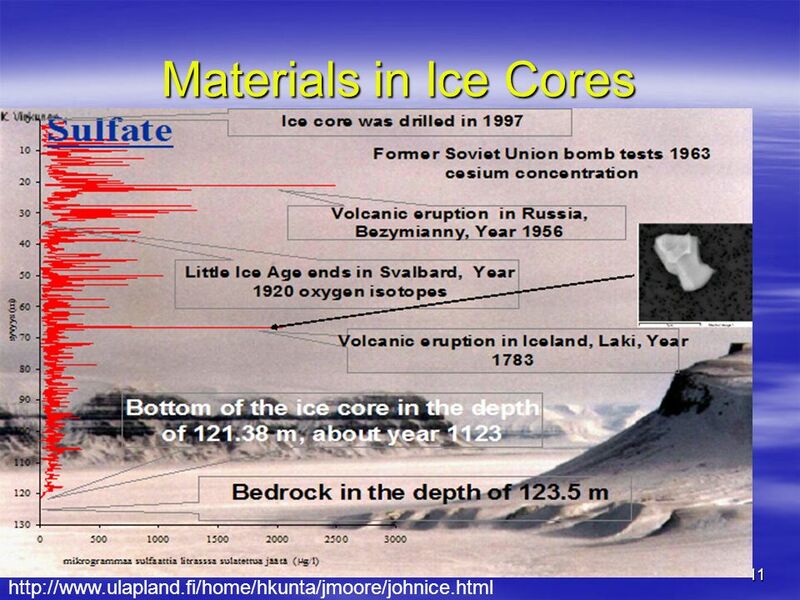 Ice cores are long tubes of ice obtained by drilling down into glacial ice. 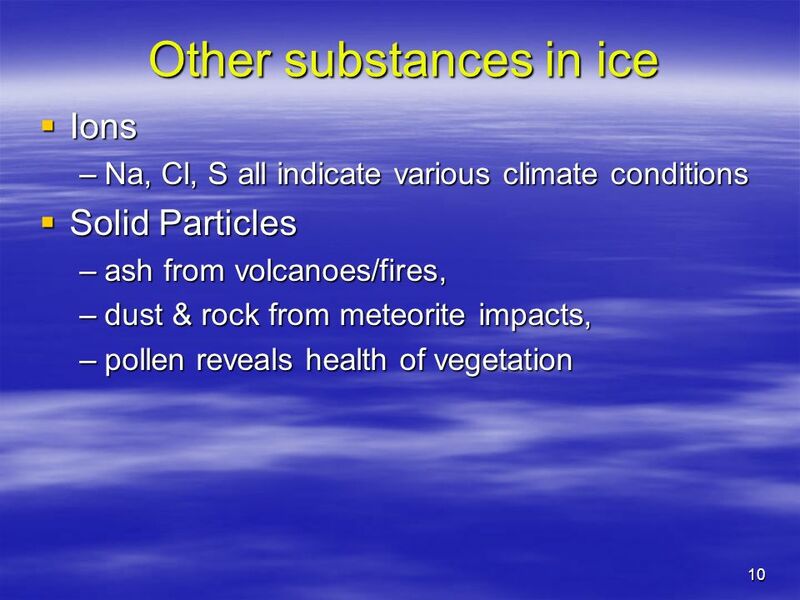 Ions Na, Cl, S all indicate various climate conditions Solid Particles ash from volcanoes/fires, dust & rock from meteorite impacts, pollen reveals health of vegetation Other Ions – Sodium, Chloride and Sulphate ions all indicate various climatic conditions Air Bubbles – Air in glacial ice represents the atmospheric composition of a time just after the deposition of the snow, once there was sufficient mass above the snow to compress it into ice. These air bubbles are like tiny snapshots, revealing the relative percentages of the various gases in the atmosphere (O2, CO2, NO2, CFC’s, CH4 etc). Solid Particles – ash, dust & pollen reveal information about volcanic eruptions and vegetation health of the time when the snow was first deposited. 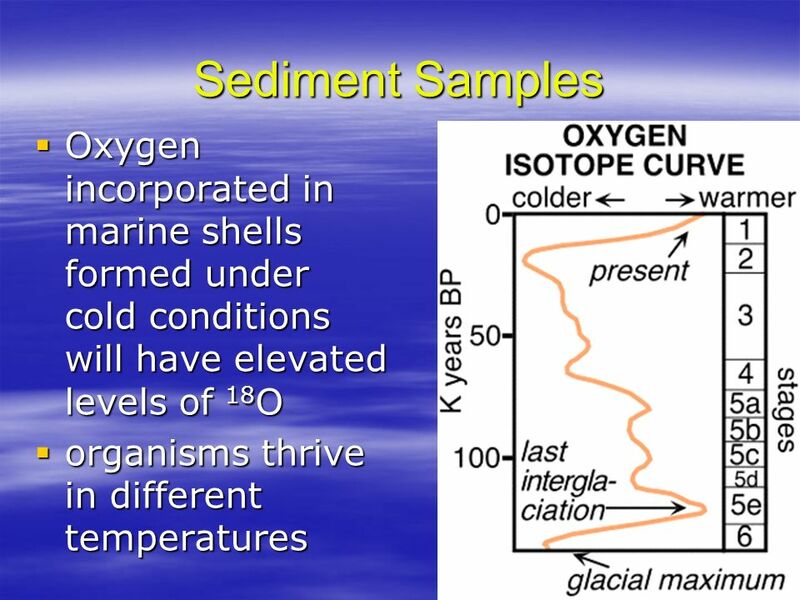 19 Sediment Samples Oxygen incorporated in marine shells formed under cold conditions will have elevated levels of 18O organisms thrive in different temperatures Sedimentology is another important proxy record. 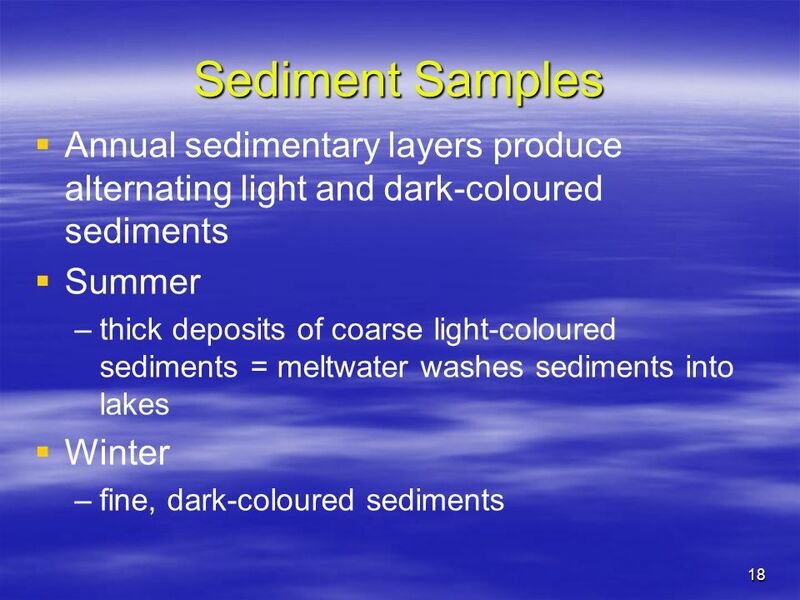 Sediment layers in lake and ocean beds change based on the amount of rainfall bringing sediment into the basin, so the thickness and types of material in each layer provides information. 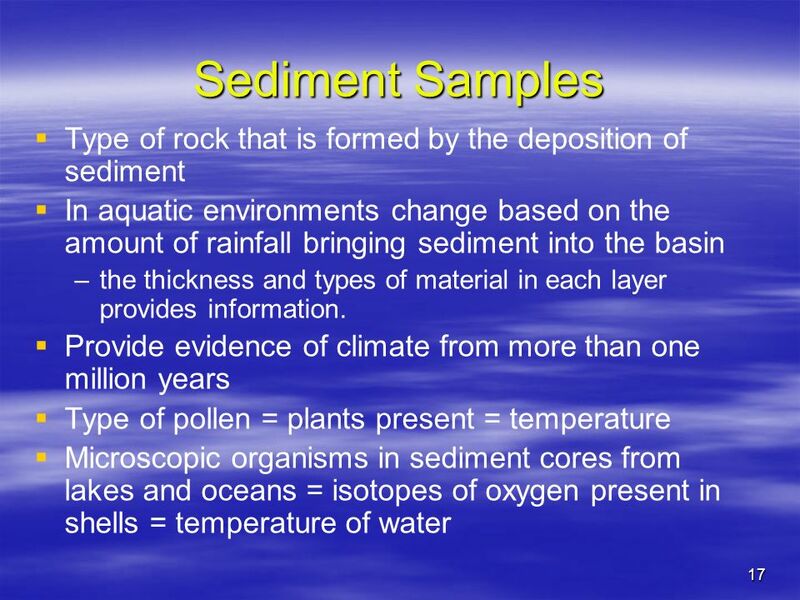 Even more important are the organisms preserved in each layer. 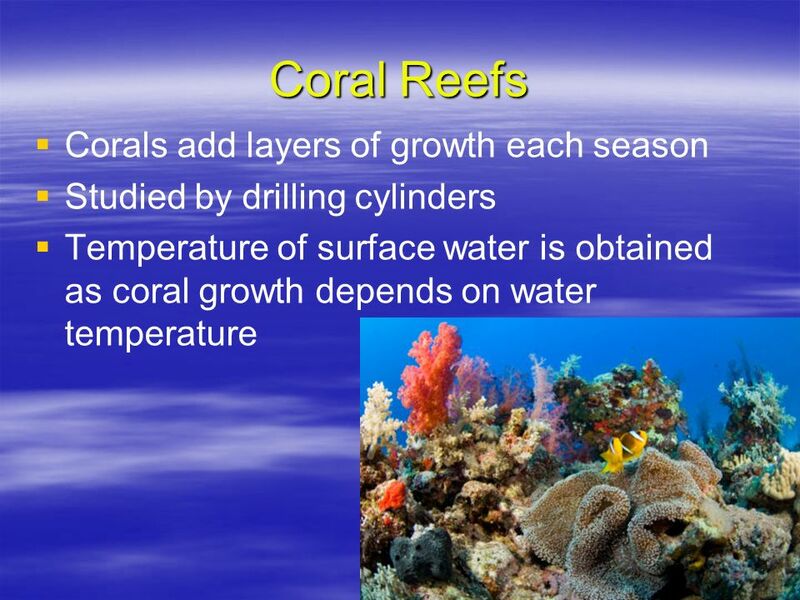 Microscopic organisms hold evidence of the climatic conditions during their lifetime. 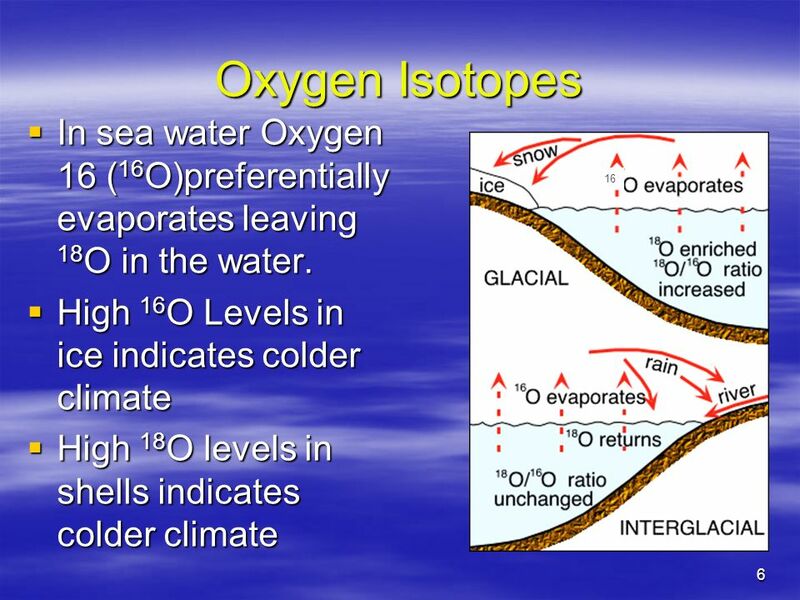 The oxygen isotopes in their shells reflect the temperature as O-18 is more readily available than O-16 during colder periods. The pattern in their shells reveals temperature conditions as does the types of organisms present, with some thriving in colder waters and some in warmer waters. Studying the percentages of organisms in waters today with known temperatures gives paleo-climatologists an excellent profile for what relative numbers suggest about past environments. 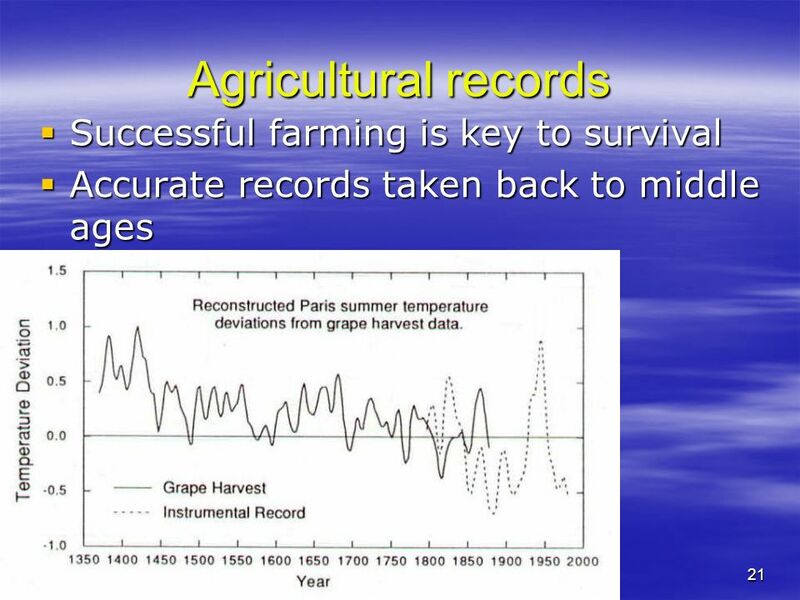 Accurate records taken back to middle ages Successful agriculture has been critical to man's survival through much of the history of human civilization. Thus even in the Middle Ages scrupulous records were often kept in such centers of learning as monasteries on planting and harvest dates, and first and last frosts. These records are particularly good for grapes, the raw product for wine fermentation, and wheat which was used to make bread. 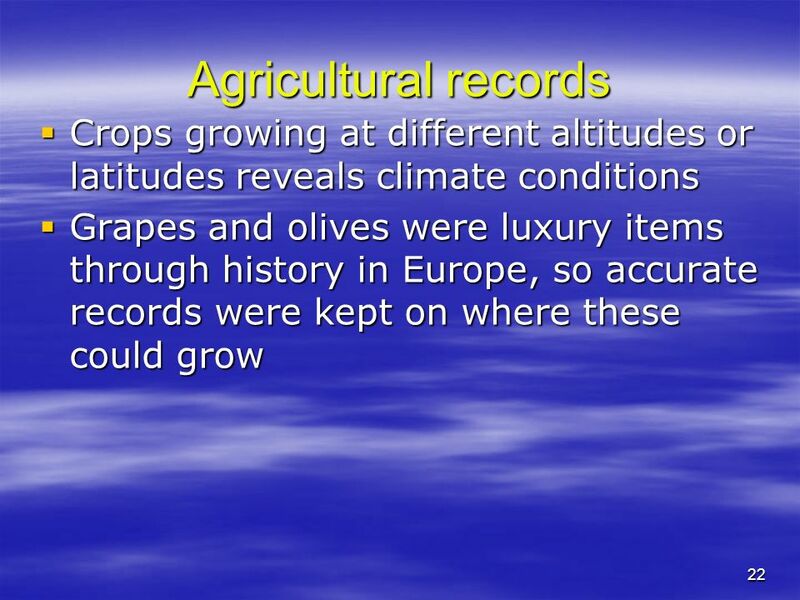 22 Agricultural records Crops growing at different altitudes or latitudes reveals climate conditions Grapes and olives were luxury items through history in Europe, so accurate records were kept on where these could grow Recall that mountains can have several different climate regions on a single face. By observing how plants “migrate” up and down mountains, humans can gain some awareness of how the climate shifts over time. Pliny the Elder (AD 23-79) described how the Beech Tree (a mountain tree in his time) has once “descended” to the plains of Northern Italy and even into Rome, suggesting that his time was much warmer than earlier times. 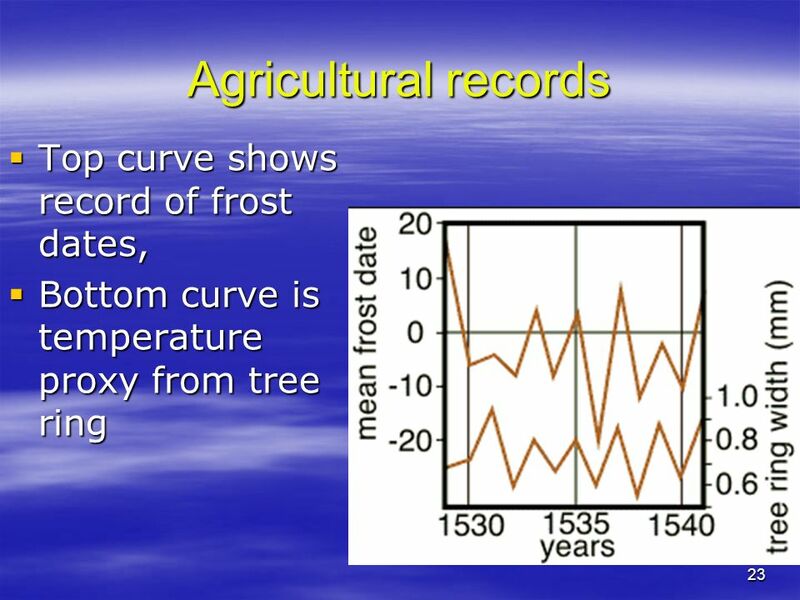 Bottom curve is temperature proxy from tree ring Successful agriculture has been critical to man's survival through much of the history of human civilization. Thus even in the Middle Ages scrupulous records were often kept in such centers of learning as monasteries on planting and harvest dates, and first and last frosts. These records are particularly good for grapes, the raw product for wine fermentation, and wheat which was used to make bread. In the diagram curve 1 shows variations in mean 16th Century Franco-Swiss wine harvest dates. Curve 2 shows available dendrochronological data from oak trees in Odenwald. It is interesting to note that this curve closely matches the agricultural harvest record. 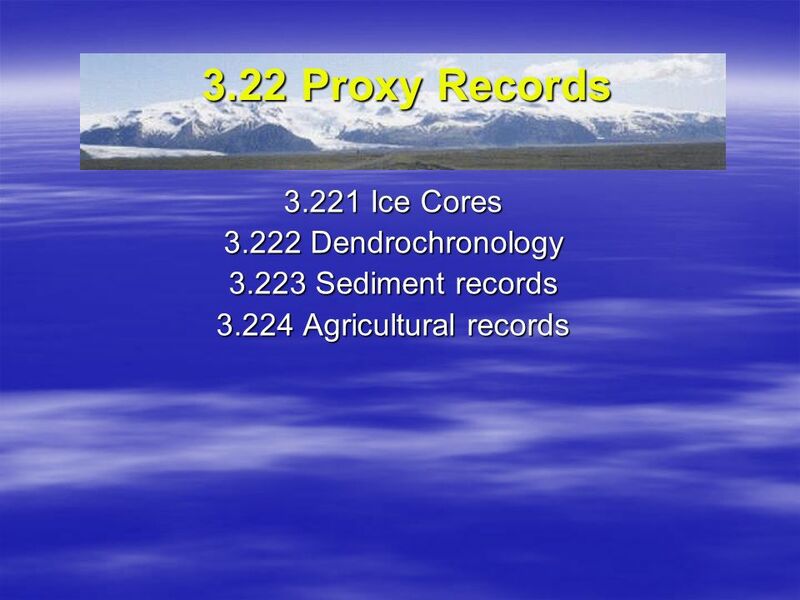 Download ppt "3.22 Proxy Records Ice Cores Dendrochronology"
Glaciers as records of climate Ice cores: –Detailed records of temperature, precipitation, volcanic eruptions –Go back hundred of thousands years. Long term climate change. Climatic periods since the Pleistocene Ice Age in the UK Pre Boreal 10,300 BP Change from Tundra to continental. Original cold. 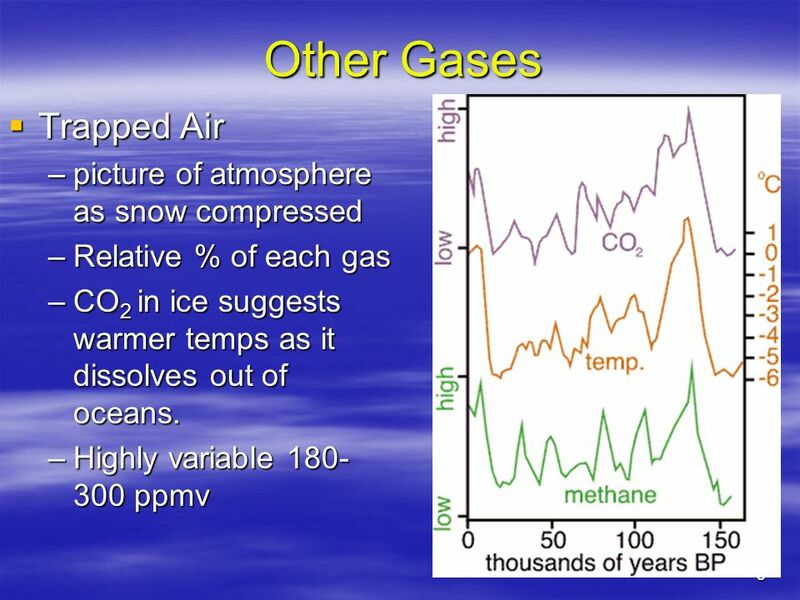 Climate Proxies How can you measure the climate of the past? Atlantic Water temperature and climate in the Barents Sea in Vladimir Boitsov, Alexey Karsakov, Alexander Trofimov Polar Research Institute of. Climate Change: Past, Present and Future. Warm up: 1.Sketch a graph (Global Temperature vs. Time) for the past 20,000 years and predict how climate has. 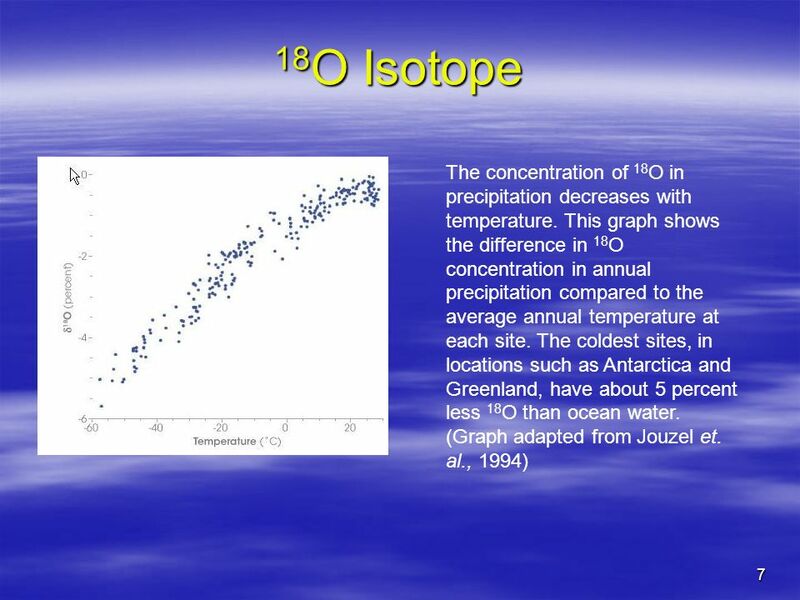 Paleoclimate indicators. Rock types as indicators of climate. 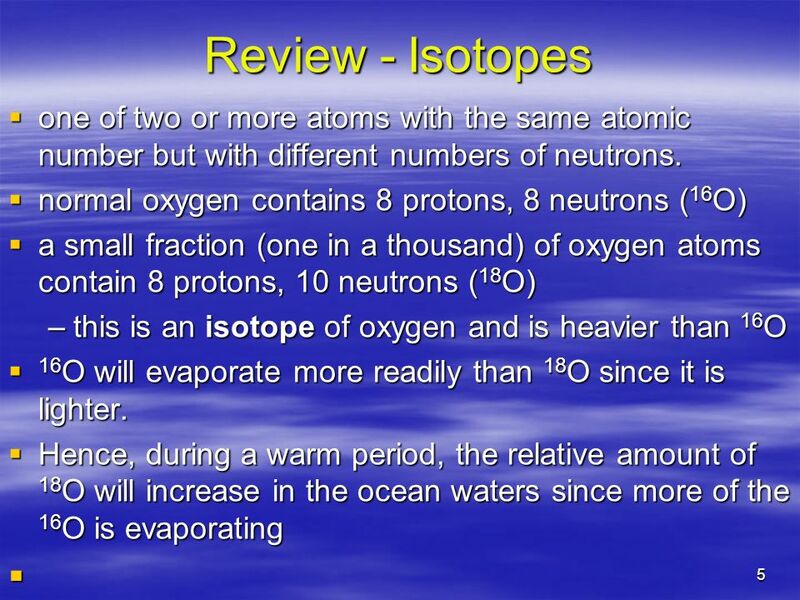 OXYGEN ISOTOPES B.C. Schreiber U. Washington Dept. Earth & Space Science To be used only for scholarly purposes, consistent with “fair use” as prescribed. Past Climate Reconstruction and Climate Proxies. 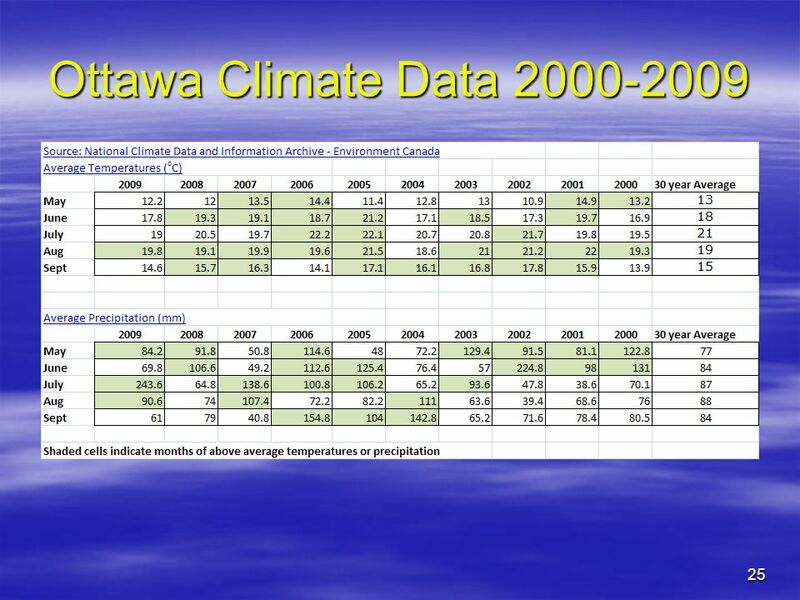 Note: This slide set is one of several that were presented at climate training workshops in Please. 1. Instruments record the past 140 years. 2. Historic records go back thousands of years. 3. 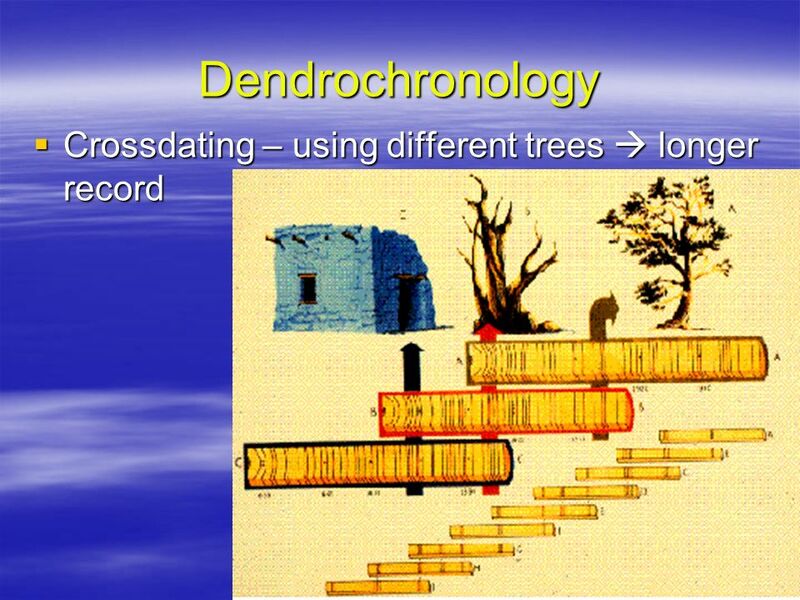 Prehistoric climate data must be collected by something called. 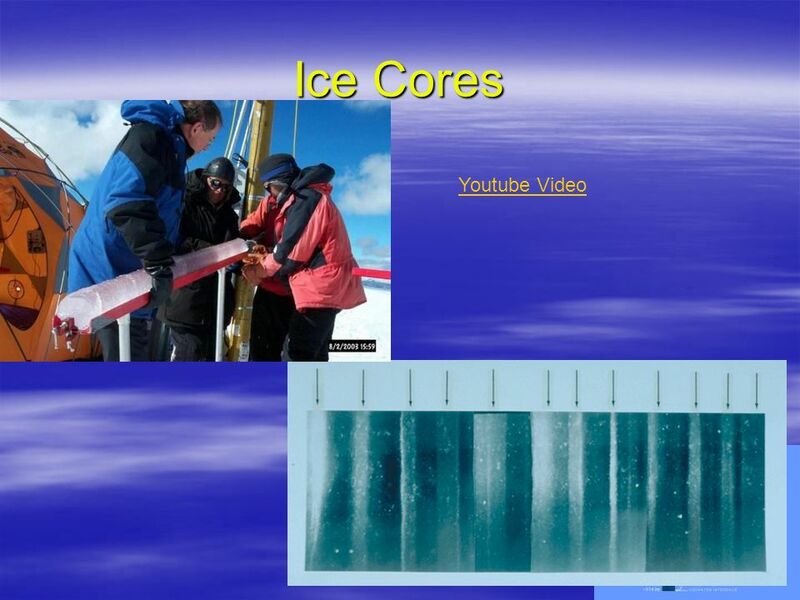 A Look into the Past Ice Cores By Felicia McDonald. 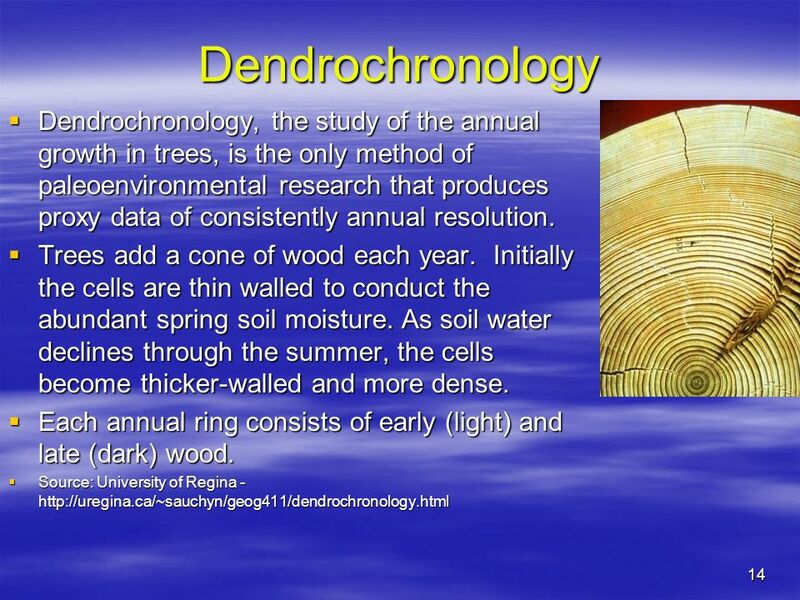 Climate of Past—Clues to Future ► Climate has changed in past  Humans not present  So, why worry about present – ► Earth goes through cycles ► Always. 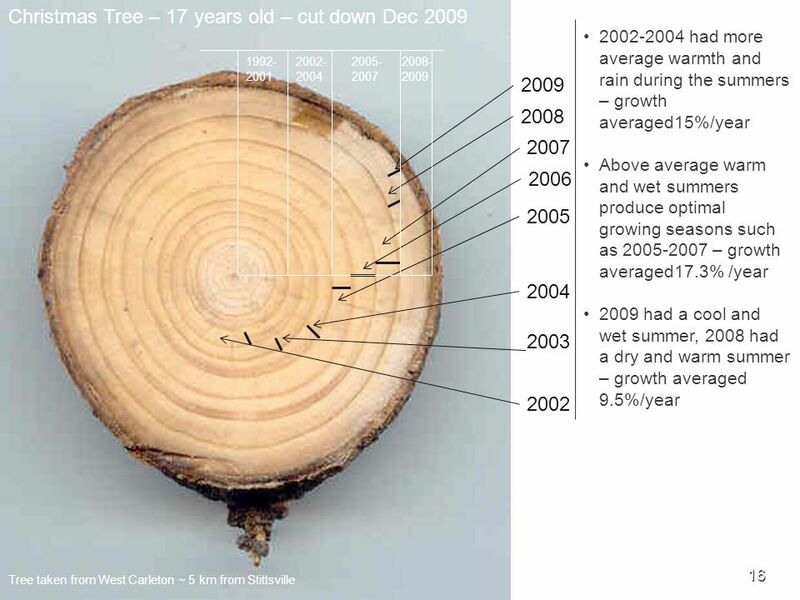 Tree Rings Can Tell You Things About Climate Change.